It is the last exam of the year and Jack Curling reflects on his school career as the remaining minutes count down. Determined to prove to his father that he can succeed at the local comprehensive school, Jack's entrepreneurial spirit quickly marks him out from the other students. But when Dad leaves home, Jack, confused by the apparent betrayal, decides that all endeavour is futile. Swallow takes a fresh approach to his subject. 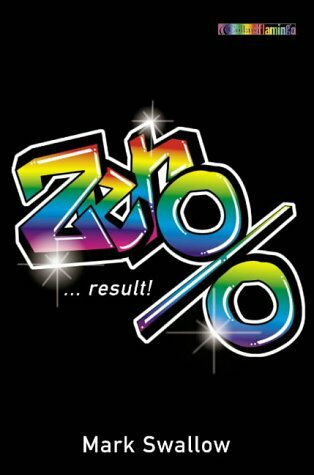 Zero Per Cent raises some interesting questions about the development of autonomy and the benchmarks that are used to measure success. Clearly written from the teenager's perspective, it moves towards allowing some insight into the parental point of view while resolutely remaining on the side of the young person.